Check out our state of the art facility with a 5 star waiting area ! Our Service and Parts Department is open 6 days a week for your convenience. Order MOPAR Performance parts online. Schedule your service appointments online. Our Sales Department is open 7 days a week. Free shuttle service while your vehicle is being serviced. One of the largest new and pre-owned inventories in the area! Guaranteed lowest prices on all brand new in-stock inventory. Lowest Interest rate financing options for all credit situations. Premium select pre-owned vehicles for sale at heavily discounted prices. Friends and Family Referral Program. Earn $100! Don’t forget to ask about Tires for Life! We appreciate your interest in our inventory, and apologize we do not have model details displaying on the website at this time. Please fill the form out below and our team will quickly respond, or, please call us at (413) 351-0892 for more information. 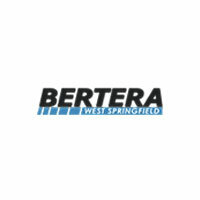 Bertera CJDR of West Springfield	42.1211015, -72.6248713.